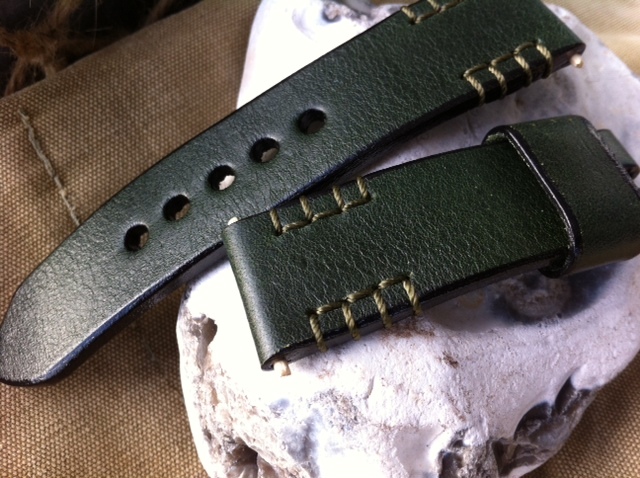 Dark bottle green leather 4mm thick and with a slightly waxy feel. This is a supple top quality leather with bevelled and sealed edges. Stitched in a heavy polyester thread and with 1 wide running keeper. 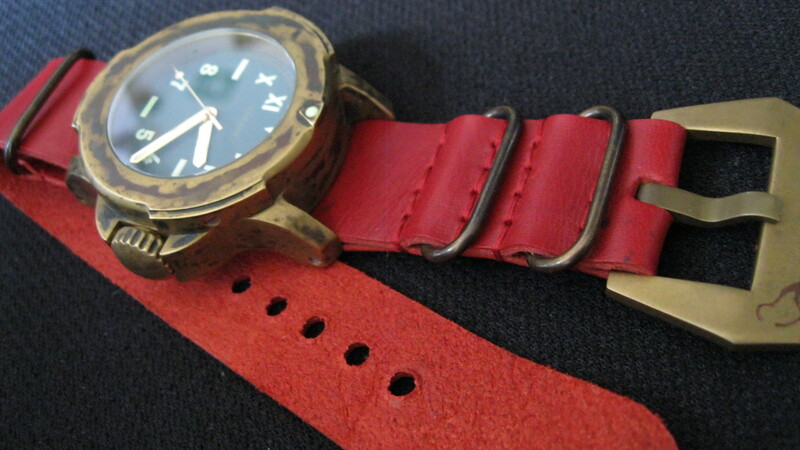 STRAP ONLY is £42.00 ($56.00 USD ) plus shipping.